Navigating the NEA website section CommonCore State Standards (CCSS) gives the impression of reading a paid promotional brochure. There are several subsections, articles, and informative videos explaining and promoting CCSS. Contrasting with the CCSS presence in the NEA website, there is no mention of the institution of public education or links to its centennial history, social value, and considerable significance. There are only two small specific subsections: “EducationFunding” and “Raiseyour hand public education”. All it takes is a simple visit to NEA webpage to realize the stark contrast between public education and CCSS. The 150 year old institution which gave birth and still sustains NEA is barely acknowledged, while an unproven strategy created barely six years ago commands an outstanding consideration. The CCSS “highlights” subsection stands out with a toolkit with links to CCSS materials; a StudentAchievement Partners website full of free materials to better understand and implement CCSS; a list of propaganda explaining the worthiness of CCSS, an how already parents and teachers are cooperating in this times of CCSS; and a new section about materials available in i-tunes and through the ASDCwebsite, among other things. In addition, there is a selection articles and multimedia giving a positive spin to CCSS. Everything on this page seems all right or innocuous; after all, it is information for NEA members. So, what could be wrong about NEA’s CCSS page? Indeed, I would argue precisely that the existence of this CCSS page itself is inappropriate: there is an evident influential campaign section for CCSS in NEA’s website for no valid reason! Mainly, there are at least two major questions that deserve answers. Conspicuously, no one has deemed appropriate to inquire about the existence of such section --that ought to be the first question. But a more considerable question would be: Why does NEA show such an inordinately vested interest in promoting CCSS in the first place? First of all, CCSSis copyrighted by the NGA Center for Best Practices (NGA Center) and the Councilof Chief State School Officers (CCSSO); CCSS was not an NEA initiative or the product of a partnership with these entities. Secondly, there never was a serious debate on the issue of NEA supporting CCSS in the committed way it has done it. As a matter of fact, the disconcerting official NEA position, based on information from three entities: ASCD, TheEconomy Policy Institute (EPI), and TheHunt Institute, appears in a policy brief signed by NEA president Van Roekeli. Thirdly, CCSS has not even been properly tried or piloted! This oversight alone raises reasonable doubts about the unwavering and expensive support from the largest teachers associationii. What makes it even more difficult to comprehend is that despite two years of serious criticism and protests against CCSS, the NEA leadership had remained firm in supporting the implementation of CCSSiii. To sum up, if after two years, with no academic or anecdotal evidence, or any valid reason to commit millions of dollars and the trust of its millions of members to CCSS, why is NEA still doing it?iv A plausive explanation for NEA’s unyielding support of CCSS may involve various perspectives. Record shows that from its inception the Bill and Melinda Gates Foundation (B&MGF) has sponsored and promoted CCSS in a perplexing fashion. Undeniably, its influence has been, and still is a most serious factor in how every stakeholder and the public in general perceive CCSSvi. For that reason, all NEA members should share the primal concern about the potentially risk of NEA compromising its autonomy and integrity. 1) the company ASCD, whose materials NEA promotes in its website, was awarded $3Million to aid nationwide in implementing common core standards. 2) StudentAchievement Partners, a non-profit organization founded by David Coleman, Susan Pimentel and Jason Zimba, lead writers of the Common Core State Standards, received a grantof $4,042,920 in order to support teachers nationwide in understanding and implementing the Common Core State Standards. Prior to that, Achieve had received $23.5 million in Gates’s funding. Another $13.2 million followed after CCSS creation, with $9.3 million devoted to "building strategic alliances" for CCSS promotion. Evidently, the convergence of these companies was in no way altruistic or motivated by a desire to help public education. These are not independent entities spontaneously cooperating for a common cause. As a matter of fact, the B&MGF strategically positioned each one of them to do a specific job for the concluding purposes of creating and promoting CCSS! As noted, all edupreneurs in these misunderstood non-profit corporations actually have managed millions of dollars courtesy of the B&MGF. But, what about NEA? Inconsistently, in what logistically could be considered a central role validating CCSS to millions of teachers, NEA did not receive a cent, did it? Market Values, Association Values, or Union Values? Perhaps NEA members may think that Mr. Gates funding CCSS from its inception to date is not relevant or important enough to request NEA leaders for information about their support for CCSS. After all, NEA holds values like democracy, equal opportunity, professionalism, a just society. Moreover, everyone knows that NEA has internal mechanisms to deal effectively with relevant decisions, like supporting or not CCSS in this case. In short, NEA is not a company like Achieve, ASDC, or the others; it is inherently different. NEA leaders take their own decisions based on what is best for NEA members regardless of CCSS, not on what the B&MGF promotes with its grants, right? However, it could be argued that the magnitude of the issue of the B&MGF driving CCSS would justify NEA members’ request for transparency and explanations. If the B&MGF funded each of the mentioned companies in order to support the cause of CCSS, would it ask the same from NEA?ix According to the B&MGF records, NEAhad been the recipient of more than seven million dollars since 2009 for the purpose of advocating for CCSS. Has this unsolicited money influenced leaders’ decisions in this, and perhaps, other matters? Or perhaps it didn’t, and even without that money NEA leaders would have approved to have that well designed webpage section promoting CCSS anyway. Would have NEA leaders organized those several workshops and events to help teachers with CCSS? Possibly, and they would have cover the expenses by asking their members an increase in their dues. CCSS is a major change in public education. For that reason alone, teachers should feel they have the right to scrutinize CCSS itself and its creation to satisfaction. When years ago, the respective leaders of NEA and CTA unexpectedly became devoted agents for CCSS, these organizations gave a new and unwarranted project an undeservedvalidity. That legitimacy by association indeed exempted and protected CCSS from the authentic, valid, and probably devastatingscrutiny from rank and file members. Furthermore, a collateral damage was done to the prospective dissenters and potential protesters. By NEA becoming a pro-CCSS agent, all dissidents were automatically disqualified and swiftly destined into isolation in their own associations. Unsurprisingly, that move did not dissipate the opposition. In fact, while many accepted CCSS at face value, some courageous teachers looked for alternatives to express their discontent. 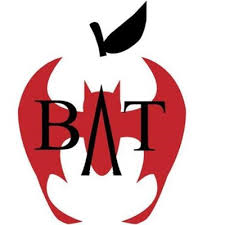 That reaction explains that hundreds of non-conforming teachers formed fringe group such as the BATs (BadassTeachers Organization), which devotes itself to question and challenge the new orthodoxy. It could be consider unconscionable that teachers associations practically took away their members’ prospect for dialogue, debate, or complain about CCSS. Without the protection of an association, every teacher was basically trapped in a frame where CCSS had to be thought of as right, good, and necessary. With the associations themselves reciting the reformers CCSS doctrine, unsuspecting teachers had no option but to obey, comply, and conform. Strangely, when teachers were hoping for an endto feeling demoralized after a decade of NCLB, having NEA reinforcing CCSS mandates was bizarre. Arguably, for public school teachers and public education in general, when NEA leaders prematurely embraced CCSS, they made more than a misleading mistake, but a colossalblunder, Even NEA President Van Roekel acknowledged that teachers asked NEA to oppose it due to the many problems with CCSS . If NEA’s idea was to help teachers and public education through supporting CCSS, the attempt was a complete failure, even counterproductive. As it happened, the confusing and frustrating process of implementing CCSS in NewYork, Chicago, and now in progress in California, do not seem to validate NEA’s faith in CCSS. Considering implausible a significant improvement of the CCSS implementation, NEA members would be correct in asking for a revision and a moratorium. NEA members may question their leaders’ decisions and request time to actually learn about CCSS through other means. The serious issues about CCSS manufacture and its implementation make a strong case for NEA members to redirect their efforts from CCSS toward rescuing and rebuilding our public education system. After learning how CCSS came about, one has to admire Bill Gates’s brilliance in selling theCCSS's promotion to teachers. From the beginning, teachers were taught through induction that CCSS were necessary standards, and that in order to apply them properly they needed to accept a serious change, a new paradigm. Unlike NCLB with its prescriptive, dry, lessons and bubble tests, the sales pitch presented CCSS as a teacher friendly, collaborative, and fresh approach to teaching! The pedagogical part of CCSS took center stage. Appropriate teaching methods were introduced by districts and teachers associations. Teachers will be in charge of planning, designing lesson, evaluation –everything. CCSS was wonderful!x Additionally, everyone would vouchfor CCSS -- billionaires, politicians, administrators, board members, PTA’s, and the most important ones, the teachers’ associations’ leaders. As teachers were concerned CCSS was a gift from heaven. NCLB was dead, long live CCSS! Bill Gates and all the corporate reformers involved in CCSS could not be more pleased --- the way the implementation was progressing meant good news for businessxi. Privatizing policies were firmer in place than ever. Consequently, there would be more opportunities for profit and controlxii. As a matter of fact, some corporate reformers were already lobbying for the potential billions of dollars in revenue in computer datacollection and testing alone. Manifestly, corporate reformers know what they want and work diligently to succeedxiii. In a glaring contrast, despite public education being privatized, teachers showed neither goals nor interest to do anything about it. They understandably seemed to care mostly about CCSS being better than NCLB! In fact, NEA’spoll in 2013 showed that teachers strongly supported CCSS. After all, teachers had only read the selling points in bold letters, and not the hidden obligations in fine print. What corporate reformers conveniently kept for themselves was that CCSS is an all included and expensive package -- It has standards, curriculum, a convoluted testing plan, and then some, all in a package that included even more arbitrary accountability. In short, NCLB had been a road, and now CCSS is the highway to the privatization of public education. Indeed, later teachers found out that reality differed sharply from rhetoric, as the 2014 Gallup survey showed when more than 60% of teachers responded that they felt frustrated or worried about CCSS. But since teachers had no other direction or drive, they could not articulate their oppositionxiv. If NCLB taught teachers a lesson, it was to distrust the corporate reformers when they tell them how to do their jobs. Indeed, they should not take any claim at face valuexv. No one would criticize teachers if they did not believe corporate reformers this time. Arguably, CCSS is not about solving the problem of identifying effective or ineffective teachers, or the need of standards to improve imaginary problems, or about giving those good and wise teachers something new and better to take from CCSS trainings. Certainly, it is not about the ludicrous international competition. What is certain is that there is so much more corporate reformers do not share with teachers about CCSS, as the Chicago Teachers Union realized a year ago when it passed a resolution opposing it. According to its short and hectic record, CCSS seems to be more the corporate reformers' next and final step to take over public education, than a tool to fix and improve education. Public school teachers, who have been overworked already, will be even busier. They will spend extra hours learning anything that they are told need to be in place for CCSS to be properly implemented. By design, teachers would be too busy and scrutinized to pay attention to the structural changes brought upon them. In the meantime, the responsibility of this bold project would be as always solely on teachers' shoulders. As in the past, when the poor scores come, corporate reformers will criticize even more harshly public schools and teachers, and will come up with more privatizing solutions that would find no opposition. Following recurrent patterns, corporate reformers will keep this CCSS trend of controlling the direction of public education while being unaccountable and making profits in every possible way --consultants, materials, books, charter schools, and so on, while teachers do all the work for even less money in an arbitrarily imposed accountability system. Perhaps by learning more about CCSS than what they are taught, NEA and CTA members would find reasons to care enough about their public schools and their profession and less about CCSS. Maybe, with the revelations about CCSS, and after more than twenty years of looking at the reformers demonizing, underfunding, and privatizing public education, NEA and CTA rank-and-file members would find appropriate to stop validating and promoting CCSS. I for one find NEA supporting CCSS unethical, outrageous, and self-destructive. It is contemptible to support CCSS so resolutely while deserting public education when is being privatizedxvi. This shift from CCSS to defending public education would be a step in the right direction. One clear conclusion can be drawn from watching at corporate reformers interaction with teachers in recent past and in particular in looking at their alliance to support CCSS: Corporate reformers do want to privatize public education, and teachers do not want to stop them. Unlike corporate reformers who have the ultimate goal of dismantling and privatizing public education motivated by potential huge profits, teachers in general and their teachers’ association’s leaders have no inherent motivations or particular goals. Interestingly, many teachers do not feel obligated to defend public education against privatization, or to defend their livelihoods or profession even when corporate reformers employ unfair or invalid arguments. Incredibly, NEA members show no pride for their noble struggles or their remarkable accomplishmentsxvii. Those are stories used to spice speeches. Never mind the sacrifices of tens of thousands of teachers, mostly women, who through history organized and fought for their rights and their students’. Regardless of their rich union history, teachers’ associations’ leaders in this century have not found intrinsic motives to rally teachers in defense of public education from privatization, but they did find worth it to use NEA’s power to implement CCSS. This explanation for the apparent paradox must acknowledge the corporate reformers’ neoliberal ideology. The anti-public education ideological campaign has been carried on for decades. Neoliberalism asks for schools to be managed as business competing to succeed or fail in free-markets. It has rendered teachers unable to appreciate the value of public education or their role as stakeholders.xviii Civic values –democracy, solidarity, justice, fairness, and the common good--which shaped the attitudes and norms that sustained America’s public schools have been eroded. Slowly, these values have been crowded out by the market values like profit, efficiency, competition, and choice. Corporate reformers use them effectively to criticize, cut, fire, dismantle, and privatize. As a result, public education has been devaluated even in the eyes of teachers, while CCSS has been placed as a chief piece of the reforms. Privatization is accepted because teachers have been conditioned to think and act less as citizens and more as consumers. In closing, I cannot remember the last time any stakeholder seriously defended or advocated for public education in public! Disturbingly, with a well-funded and motivated group of profiteers attacking it now with CCSS, and nobody devoted to defending it, public education in America seems to have its days numbered. xv In “Campaign for America’s Future: Get Ready for the Next Wave of Education “Reform,” Jeff Bryant warns teachers: As anti-democratic pressures appear to be easing on the federal front, they are ratcheting up in states across the country. In fact, the next form of education “reform” may be as bad as or worse than what NCLB imposed. http://nepc.colorado.edu/blog/get-ready . 3) Replace with charter schools linked to private CMOs (Charter Management Organizations), corporate eduservice providers (Pearson) and for-profit online learning. Staff with Teach for America temps who are indebted recent college graduates. Done. xviii It is time to open debate on the premises and goals for public education. “Markets are useful instruments for organizing productive activity. But unless we want to let the market rewrite the norms that govern social institutions, we need a public debate about the moral limits of markets.” ― Michael J. Sandel, Justice: What's the Right Thing to Do?